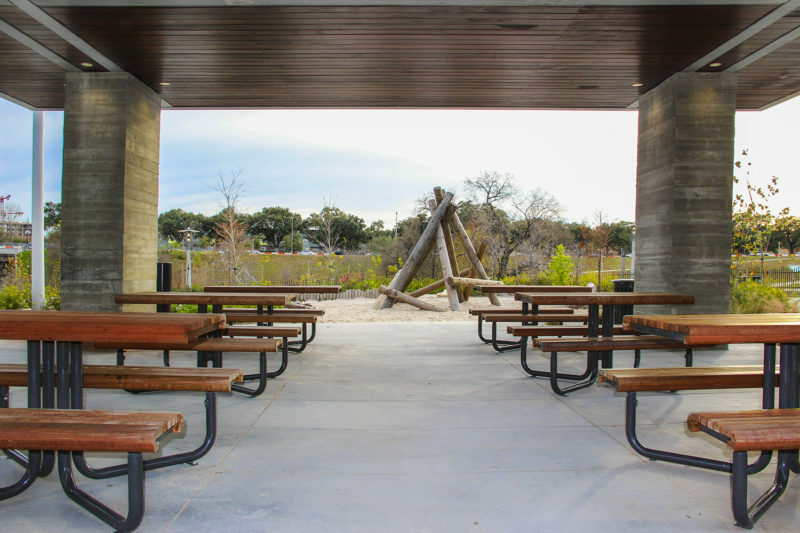 Near The Water Works and the Lee and Joe Jamail Skatepark, the Barbara Fish Daniel Nature Play Area and Picnic Pavilion is one of the park’s most popular destinations. Designed to inspire a love of nature within children, features of the play area include: a boulder rock scramble, a rolling lawn, a stream and waterfall, climbing logs and stones, and a 33-foot slide. The most compelling component is a tri-level tree house/boat deck with climbing net. You can rent the picnic pavilion for children’s birthday parties and celebrations (6 picnic tables accommodate 50 guests). 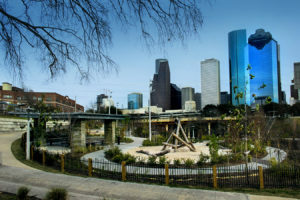 The Barbara Fish Daniel Picnic Pavilion is located next to The Water Works at 105 Sabine Street, Houston, Texas 77007.